As a reminder to all Summit SuperSeries competitors, the 2016 program offers two ways to qualify for the Summit SuperSeries World Finals. You can be a Summit SuperSeries track champion or you can qualify by winning the main event of your regional Summit Team Finals. For those competitors who may eventually qualify by winning the Summit Team Finals, the deadline for being registered for the program is May 1. With May 1 falling on a Sunday, the IHRA will process new Summit SuperSeries registrations through the end of business on Monday, May 2 and those will be considered as having met the deadline. 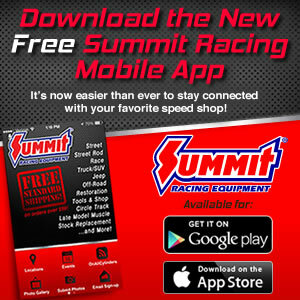 Any new registrations submitted after close of business on Monday, May 2 will still be eligible for the track championship component of the Summit SuperSeries program but will not be considered for Summit Team Finals qualification eligibility.